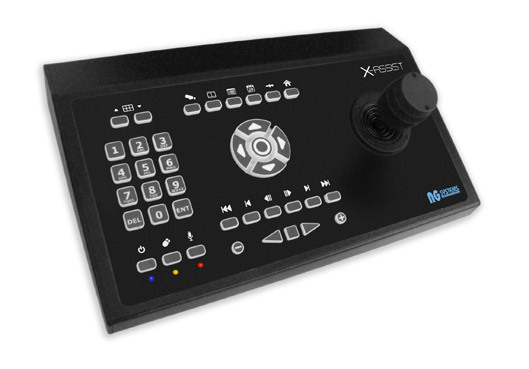 X-Assist is the latest, new generation USB joystick controller from NG Systems, specifically designed to provide maximum independent control of Milestone’s XProtect® video management software. It features 39 dedicated keys and an industry-standard, three-axis, multi-function joystick which operates as a standard PTZ controller in Live Mode and provides jog, shuttle and speed control functions in Playback Mode. Additional features include fast selection of View, Camera and Presets by name or number plus On-Screen Menus, Audio ‘Talk’ control and a special ‘Mouse’ mode that allows the joystick to function as a standard mouse pointing device. For users of Milestone's XProtect® Smart Client, NG Systems has developed a new, FREE XProtect® Smart Client plug-in which enhances the X-Assist useablility. 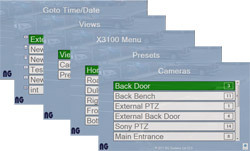 Using the X-Assists's function buttons, users can bring up an semi-opaque menu system allowing fast and accurate control over the XProtect® Smart Client application. The X-Assist Controller Enhancement Plug-in is available now and registration is a requirement for download. Register free here!